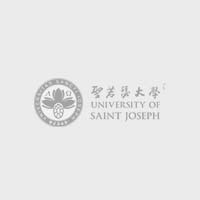 Professor Wah Kwan Cheng joined USJ after more than 25 years teaching in the United States. Born and raised in Hong Kong, he holds a Ph.D. in History from the University of Chicago, an M.A. in History from the University of Wisconsin, Madison, and a B.A. (History and Chinese) from the University of Hong Kong. An intellectual and cultural historian by training, Professor Cheng is working on a manuscript on 19th Century American missionary writings on China and has in recent years also developed an interest in the theory, history, and practice of liberal arts education. Cheng, W. K. (co-edited with Kathleen L. Lodwick). The Missionary Kaleidoscope: Portraits of Six China Missionaries. Norwalk, CT: EastBridge, 2005. China in God's Eye: Missionary Knowledge and the Writing of Chinese Life. Between Mission and Empire: John Macgowan and His China Knowledge.” In The Missionary Kaleidoscope, edited by Kathleen L. Lodwick and W. K. Cheng. Norwalk, CT: EastBridge 2005. “Imagining the People: Yellow Earth and the Enigma of Nationalist Consciousness.” The China Review 2, no. 2 (2002): 37-63. “Constructing Cathay: John Macgowan, Cultural Brokerage, and Missionary Knowledge of China.” The Journal of Asian Pacific Communication 12, no 2 (2002): 269-90. “Frederick Stewart and the Education of Colonial Hong Kong.” Review article on The Golden Needle: The Biography of Frederick Stewart (1836-1889) (Hong Kong: David C. Lam Institute for East-West Studies, 1997), by Gillian Bickley. In The Journal of Asian Pacific Communication 11, 2 (2001): 301-306. “Enlightenment and Unity: Language Reformism in Late Qing China.” Modern Asian Studies (Cambridge: Cambridge University Press) 35, 2 (2001): 469-494. “Contending Publicity: The State and the Press in Late Qing China.” Asian Thought and Society: An International Review (Stony Brook: State University of New York) XXIII, 69 (September-December, 1998): 173-197. “The Anxiety of Individuality of May Fourth Youth,” Chu Hai Academic Journal, 1984 (in Chinese). “The Existential Foundation of American Pragmatism,” Hong Kong Baptist College Academic Journal, 1984. “The Inner World of Mao Tse-tung’s ‘Revolutionary Modernization,’” Contemporary Chinese Studies Seminar Programme Working Papers,C. 53, Centre of Asian Studies, University of Hong Kong, 1983. “Tu Ji (1856-1921),” in D.R. Woolf, ed., A Global Encyclopedia of Historical Writing (New York: Garland Publishing, Inc., 1998). “Wang Guowei (1877-1927),” in Woolf, ed., Global Encyclopedia. “Wang Kaiyun (1833-1916),” in Woolf, ed., Global Encyclopedia. "Wang Xianqian (1842-1917),” in Woolf, ed., Global Encyclopedia. “Wen Daya (fl. Sixth-seventh centuries, A.D.),” in Woolf, ed., Global Encyclopedia. Review of Borrowed Gods, Foreign Bodies: Christian Missionaries Imagine Chinese Religion (Berkeley and Los Angeles: University of California Press, 2004), by Eric Reinder. In Journal of Asian Studies (November 2005). Review of In the Lap of Tigers: The Communist Labor University of Jiangxi Province (Lanham, Maryland: Rowman & Littlefield, 2000), by John Cleverley. In Pacific Affairs 75, 3 (Fall 2002). Review of Model Rebels: The Rise and Fall of China's Richest Village (Berkeley: University of California Press, 2001), by Bruce Gilley. In Persimmon (Summer 2001). Review of Translingual Practice: Literature, National Culture, and Translated Modernity--China, 1900-137 (Stanford: Stanford University Press, 1995), by Lydia H. Liu. In Journal of Oriental Studies XXXIV, 2 (1996 ): 348-350.
Review of Modern Chinese Literary Thought: Writings on Literature, 1893-1945 (Stanford: Stanford University Press, 1996), by Kirk A. Denton. In Journal of Oriental Studies XXXIV, 2 (1996 ): 347-348.
Review of Red Bloody Sunset: A Memoir of the Chinese Cultural Revolution (New York: Viking, 1995), by Ma Bo. In Kirkus Review. Review of Occidentalism: A Theory of Counter-Discourse in Post-Mao China (New York: Oxford University Press, 1995) by Xiaomei Chen. In Kirkus Review. Review of Ch'ing mo ti hsia-ts'eng she-hui ch'i-meng yun-tung [Lower class enlightenment in the late Ch'ing period, 1901-1911], by Li Hsiao-t'i. In Journal of Asian Studies (November 1993). Review of Furrows: Peasants, Intellectuals, and the State--Stories and Histories from Modern China (Stanford: Stanford University Press, 1990), by Helen Siu. In Journal of Asian Studies (August 1991). History and theory of liberal arts education; quest for the People’s Voice in modern China; early Chinese periodical press; emergence of the public realm in late Qing China; Western missionaries and construction of China; state and national formation in modern China; literature and society in modern China. Cheng, W. K. “大灣區中華歷史文化教育的挑戰與博雅教育模式的啟示 The Challenges of Education on Chinese Traditional History and Culture in the Greater Guangdong-Hong Kong-Macau Bay Area and Insights from the Liberal Arts Model of Teaching and Learning.” Paper presented at the Symposium on Chinese Traditional Culture Education in the Greater Guangdong-Hong Kong-Macau Bay Area, University of Macau, November 27, 2017. Chan, Ming K., and W. K. Cheng. “北美學者觀察大中華區教科書及博雅教育模式之「中華性」軟實力 North American Historians’ Observations on Text Books and Liberal Arts Education Model in Greater China Toward Chineseness’ Soft Power.” Keynote speech (read by proxy) at the International Conference on Textbook Studies and “Chineseness,” Tsinghua University, Beijing, September 2, 2017. Cheng, W.K. “College Admissions, Academic Excellence, and the Ideals of Education in the U.S.” Invited speech given at the Institute of Modern Intellectual History, Hubei University, Wuhan, China, March 24, 2017. Cheng, W.K. “The Joy of Learning English.” Talk at School of General Education, Hubei University, Wuhan, China, March 28, 2017. Cheng, W.K. "S. Wells Williams and the Decoding of the Middle Kingdom." Paper presented at the Annual Meeting of the Association for Asian Studies, Atlanta, April 3-6, 2008. Cheng, W.K. "The Metropolis as Icon of Modernity." Poster presentation with two students from the ASIANetwork-Freeman Foundation Student-Faculty Fellows research group, ASIANetwork Annual Conference, Lisle, April 21, 2007. Cheng, W.K. “Terms of Equivalence: John Nevius and the Domestication of Chinese Life.” Paper presented at the American Academy of Religion Annual Meeting, San Antonio, Nov. 20-23, 2004. Cheng, W.K. “Arthur Smith, Missionary Knowledge and the Preconditions of American Policy Towards China.” Paper presented at the International Conference on China and the 21st Century, co-sponsored by Hong Kong Baptist University, Hong Kong, and Qinghua (Tsinghua) University, Beijing, at Hong Kong Baptist University, May 22-25, 2002. Cheng, W.K.. “Citizenry and Nationhood: Yan Fu and the Question of National Strength.” Paper presented at the Annual Conference of Asian Studies on the Pacific Coast, Monterey Institute of International Studies, Monterey, CA, June 8-10, 2001. Cheng, W.K. “Missionizing Conquest: John Macgowan and the Construction of China Knowledge.” Paper presented at the Association for Asian Studies Annual Meeting, Chicago, March 22-25, 2001. Cheng, W.K. “Brokering China: John Macgowan and His China Knowledge.” Paper presented at the New York Conference of Asian Studies, SUNY New Paltz, October 16-17, 1998. Cheng, W.K. “State Authority and the Late Qing Press.” Paper presented at the SEC/AAS, University of Virginia, Charlottesville, January 16-18, 1998. Cheng, W.K. “The Press, The State, and Publicity: The Public Sphere in Late Qing China, 1895-1911.” Paper presented at the History Faculty Seminar, Hofstra University, April 1, 1993. Cheng, W.K. “Language and Reformism in Late Qing China.” Paper presented at the 45th Annual Meeting of the Association for Asian Studies, Los Angeles, March 27, 1993. Cheng, W.K. “‘Yellow Earth’ and the Search for the People’s Voice.” Paper presented at the Midwest Conference on Asian Affairs, University of Iowa-Iowa City, September 13, 1991. Cheng, W.K. “The Chinese State and the Public.” Paper presented at the Michigan Academy of Science, Art, and Letters, at Eastern Michigan University, March 15, 1991. Cheng, W.K. “The Creation of the People: Yan Fu and the Late Qing Problematic of Reform.” Paper presented at the Illinois-Tamkang China Seminar, December 8, 1990, organized by the University of Illinois, Urbana-Champaign. “Salient Themes in Chinese Civilization.” Talk presented at the CDSJ5 Seminar on Chinese Culture and History, CDSJ 5, November 6, 2017. “U.S. Colleges and Universities: Admissions, Learning, and Educational Ideals.” Forum organized by Master-Insight, Hong Kong, January 9, 2016. “Liberal Education and Critical Thinking.” HKICC Lee Shau Kee School of Creativity, Hong Kong, May 29, 2013. “Studying Abroad in the U.S.” Forum presentation at Lingnan University, Hong Kong, April 17, 2013. “Liberal Arts Education in the U.S..” Hong Kong Institute of Education, Hong Kong, March 11, 2013. "Gaming the Olympics—Beijing, China, 2008." Speech given at the East Bay Region of the World Affairs Council of Northern California, Walnut Creek, CA, February 2008. “Student Research in China.” Presentation with two Mills students from the ASIANetwork-Freeman Student-Faculty Fellows Program, at the Chicago area Mills alumni meeting, April 21, 2007. "The Way of a Godless Universe: The Dao and Chinese Culture." Speech given at College for A Day, A Consortium of Nine Women Colleges, Denver, January 22, 2007. "War and Memory in Sino-Japanese Relations." Speech given at Women of World Affairs (WOWA), Mills College, October 13, 2006. "Race and Racism in America's War with Japan." Speech given at the JASC (Japan-America Student Conference), Mills College, August 2, 2004. “The Perilous Path of U.S.-China Relations.” Speech given at Diablo International Resource Center, Walnut Creek, CA, October 1999. “China Today and Yesterday.” Speech given at American Association of University Women, Garden City Library, Garden City, November 7, 1994. “The Three Dichotomies of Understanding Modern China.” Speech given at the Annual Meeting of Professionals and Executives in Retirement (PEIR), Hofstra USA, October 3, 1994. “Egoism vs. Altruism,” Enduring Question Series, Center for Teaching Excellence, Hofstra University, December 7, 1993. Seminar on “Communism,” Enduring Question Series, Center for Teaching Excellence, Hofstra University, May 4, 1993. This module introduces students to the theory and practice of historical research. Different historical research approaches and methodologies are explained. Important sources of historical data concerning Macau, the Pearl River Delta and Asia are identified and discussed. Methods and techniques for collecting and analyzing historical data considered. As part of this module students carry out an investigation of a selected aspect of the history of the Pearl River Delta. To explain developments in the Pearl River Delta it is vital to understand events in world history. This module takes students on an intellectual walk through time and space moving continually from the broad to the specific so students gain an in-depth awareness of the many forces shaping the region. Emphasis is placed on encounters and reactions and exploring possible causes and their effects. This pair of linked modules will begin with China and Europe’s expansionary efforts in the early 1400’s, and then follow the motives and movements of the Europeans as they explore the globe, settle in Macao, and establish trade-links with the Chinese empire. China and the delta then become the centre of focus in a wider world of exchanges and interactions that influence and shape the course of history. At the end of these modules students must decide the topic for their Dissertation, and prepare a Dissertation Proposal. This course is designed to enhance students’ ability in understanding, analyzing and appreciating Chinese texts. Students are trained to develop their competence in reading and summarizing different Chinese texts and at the same time to speed up their reading.